Wildwood Botanicals has provided me with Good 4 U for the purposes of providing an honest review. 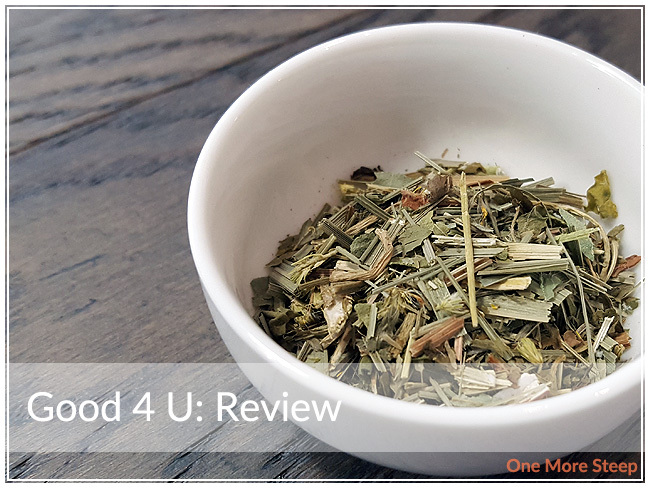 With a name like Good 4 U, it makes one think about a herbal tisane blend twice. 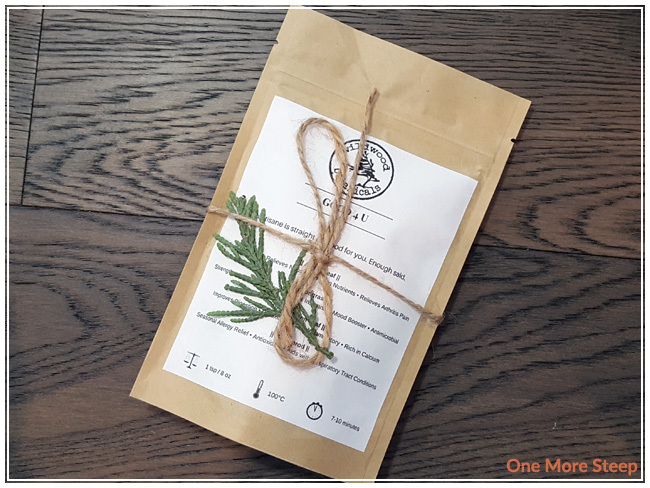 Like with my first Wildwood Botanicals review (Lunar Cycle), Wildwood Botanicals puts together blends of herbal ingredients with all the reasons for each. Good 4 U came to me in a resealable kraft paper pouch, with the label on front, tied with twine with some foliage. 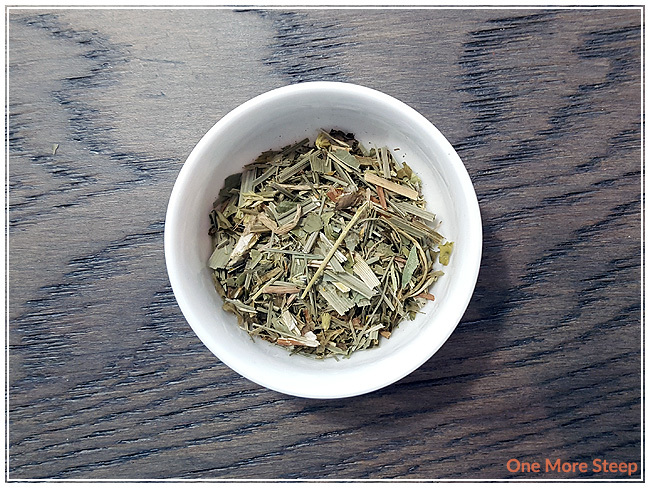 The ingredients in this blend and said to help with nausea, insomnia, seasonal allergies, and improve digestion – amongst other benefits. The aroma when I opened the page was that of lemongrass, I think that’s the strongest aroma that I can pick out from the blend. I think it’s the most aromatic ingredient there is in Good 4 U. Good 4 U is an herbal tisane that consists of: alfalfa leaf, lemongrass, dandelion leaf, and goldenrod. The product page for Good 4 U lists all of the ingredients as being organic, if such things matters to you. Wildwood Botanicals recommends steeping Good 4 U in 100°C (212°F) water for 7 to 10 minutes. I followed the steeping recommendations and did an initial steep for 8 minutes. Good 4 U steeps to a beautiful sunshiney yellow. The aroma from this tea is primarily that of lemongrass, although I do believe that to be the most aromatic ingredient in this tisane. I wish I knew what alfalfa leaf, dandelion leaf or goldenrod was supposed to smell or taste like. When I sip Good 4 U, I can definitely taste lemongrass, and there’s some grassy notes to it. 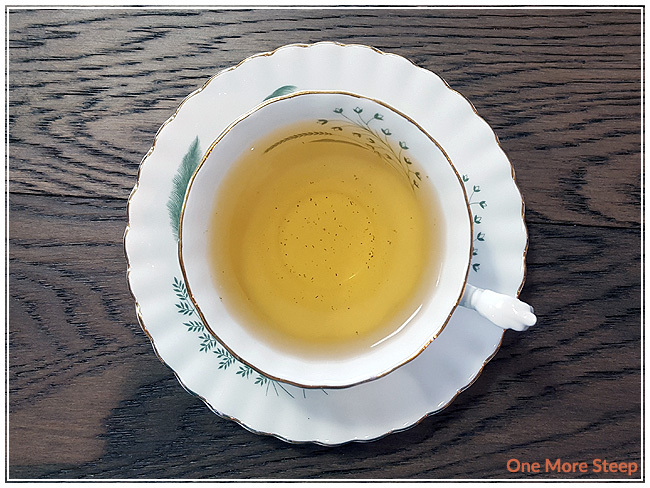 There’s a sweetness to this blend that I wasn’t expecting, and a light grassy flavour to it that is quite pleasant – I’m just not quite sure which ingredients to attribute those flavours to. I attempted to resteep Good 4 U, but found the flavour to be watery compared to the initial steep. 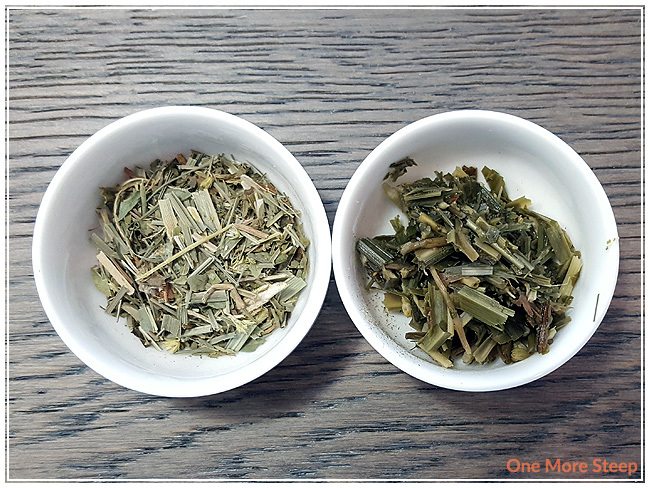 The flavour I get most in the second steep was mostly that of lemongrass. I liked Wildwood Botanicals’ Good 4 U. I love the aroma of the lemongrass, and the flavour is quite delicious. I wish I knew better what the other ingredients smelled or tasted like, but this was an herbal blend unlike any other that I had tried before. I’m not sure if the ingredients actually do what they’re meant to do, but the sweetness mingled with the grassy notes and lemongrass are a nice balance and go down smoothly.